Here is a great opportunity to acquire a young Fiesta Zetec with Navigation and Parking Sensors front and rear. Best-priced example IN THE WHOLE COUNTRY for this age, model, mileage, and specification. 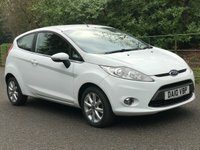 Fabulous condition throughout with balance of Ford UK Warranty for another year. One local Lady Owner. Arriving this week, not only exceptionally good original condition, but also, exactly priced to genuinely be one of the best priced 66 Reg Zetec 5-Door with Navigation at 5,000 miles or less, in the whole country!! 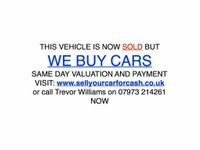 Call 07973 214261 to talk to our proprietor, Trevor Williams, anytime to arrange an early viewing and test drive to suit you. Very competitive Zero-Deposit Finance packages available, one hour from application to drive-away. Extended Warranties Available. Part Exchange available. 5 Day Drive-away Insurance available. Live walk-around video available. Nationwide Delivery available. More images at our Website.